There is nothing like the winters here in NH. Warm drinks, family-time, sweaters, snow forts, and skiing. The downside to the winter storms that roll in is the clean up. We are positive that after the first heavy snow fall, you are already tired of it. It’s beautiful when you look at it! But cleaning it up can be an overwhelming mess. Often times, this feels like a project and you might feel like you can’t keep up with it. There are times when you feel like just throwing down the shovel, and you end up doing so. Then it starts to pile up during the next storm. This situation is not ideal and it’s not safe. 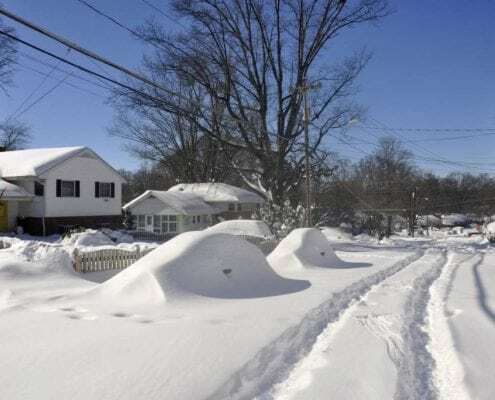 This is why you want a reliable company, dedicated to snow removal to take care of your plowing needs. Grab your snow removal quote today! We service Dover New Hampshire and the surrounding areas. During the winter-time, NE can be unforgiving. It is you safest option to give us a call and get scheduled. Both homes and businesses benefit from a contractor that is professional and reliable and can make sure the job is done right. Where temperatures vary throughout the season, this leaves ice to build up and melt and refreeze on walkways, roads, and driveways. This becomes messy! For those grabbing the shovel, it is certain that your body is not thanking you after a clean up. We can be sure you are sore the majority of the winter. We are fully equipped and ready to take on the New England winters. Give us a quick call today for your quote. Snow removal services save time and effort. Our clients typically have needed to shovel themselves out of their driveways during the storm as well as after the storm. This means they are up early and they are working late. Cleaning up twice is NOT FUN. We know it’s been a long day for you. The weather can be bad enough that you make it to work late and lose hours, or even a full day! This means money and time are lost. This adds up throughout the season. Our experts are reliable and knowledgable. Managing the aftermath of a storm is a headache when you are not equipped to handle it. Those moments where you don’t want to dig out the shovel means a larger clean up later. Maybe the weather didn’t seem bad, so the snow was left for the next day, but now the temp has lowered and it’s frozen and unmoveable. The best option is to hire a professional who is efficient and provides a solution that is effective. Contact us today for your quote. You stay warm! Make yourself a cup of coffee or even a hot chocolate to celebrate. Where you don’t need to be outside freezing, take a moment to relax… and breathe! Sleep in? Enjoy breakfast with your family? Read a book? It’s not just because this is our business. It’s the right move for anyone. 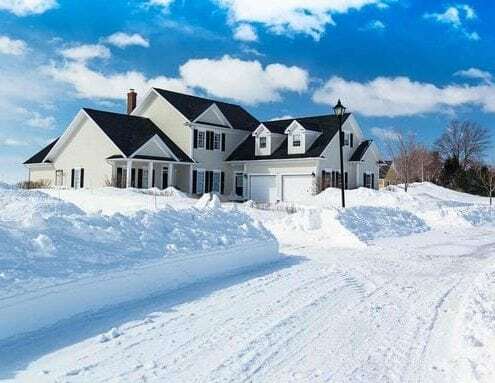 Residential and commercial plowing services are available in Dover NH and the surrounding areas. We are experiences in both large and small properties. Send us a message or give us a call and grab your quote, today!